Made of Black Iron. 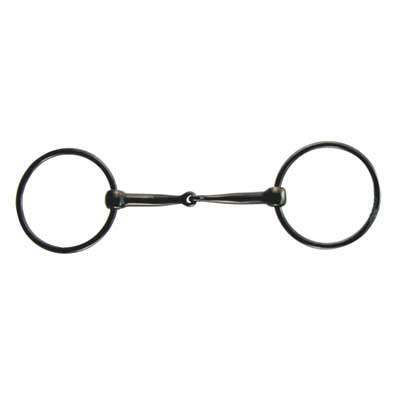 The loose ring bit provides motion of the mouthpiece on the rings that usually encourages the horse to relax its jaw and increase chewing of the bit. The single joint creates a snapping action between the rings and mouthpiece.3'' rings. 13mm.